600-hp, seven-seat Bavarian SUV, anyone? BMW’s newest range-topper is called the X7. At least as far as the brand’s SUVs are regarded, it is the largest, most comfortable, and most expensive model money can buy. But, you know, there’s always room for more, especially if you ask marketing specialists. Could there be a more powerful X7? No one really knows at the moment, but here’s a good idea of what it could look like. 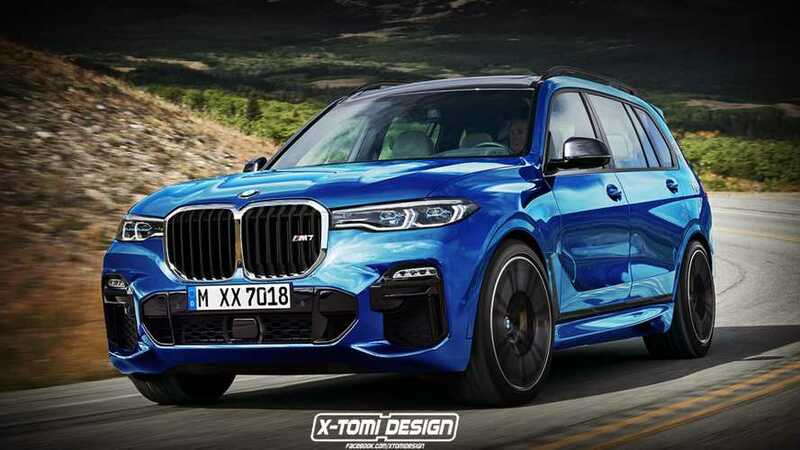 This X7 M rendering comes from X-Tomi from Hungary and presents a possible look for what could become the absolute performance halo SUV of the Bavarian company. You can tell by the massive air intakes in the front bumper, the beefier wheel arches, and the performance blue exterior color that this thing breathes fire. What's better: BMW X5 or X7? In fact, the idea for an M7 is not entirely lost. Reports from this summer suggested such an SUV is under consideration. Of course, nothing is confirmed, but these rumors give us some hope a full-blown seven-seat M SUV from the automaker could eventually happen. If it ever becomes reality, it’s probably safe to assume it will use the company 4.4-liter V8 twin-turbo engine under the hood. In the X7 xDrive50i, it generates 456 horsepower (340 kilowatts) and 479 pound-feet (649 Newton-meters) of torque, enough for a 0-60 miles per hour (0-96 kilometers per hour) acceleration in just 5.2 seconds. The magic word M could boost that power to above 600 hp (447 kW), dropping the sprint to less than five seconds. Whether BMW is planning an X7 M remains a mystery. We will have to wait until more details surface, but older reports also claimed BMW could add yet another X model to its portfolio, the Rolls-Royce-competing X8. Only time will tell!